A phase I, first-in-human study led by The University of Texas MD Anderson Cancer Center reveals for the first time, an investigational drug that is effective and safe for patients with cancers caused by an alteration in the receptor tyrosine kinase known as RET. The drug appears to be promising as a potential therapy for RET-driven cancers, such as medullary and papillary thyroid, non-small cell lung, colorectal and bile duct cancers, which have been historically difficult to treat. The oral drug, BLU-667, is being investigated in a multi-center, open label trial. The pre-clinical and early clinical validation are published in April 15 online issue of Cancer Discovery. The results from the trial were presented April 15 at the American Association for Cancer Research Annual Meeting 2018 in Chicago. 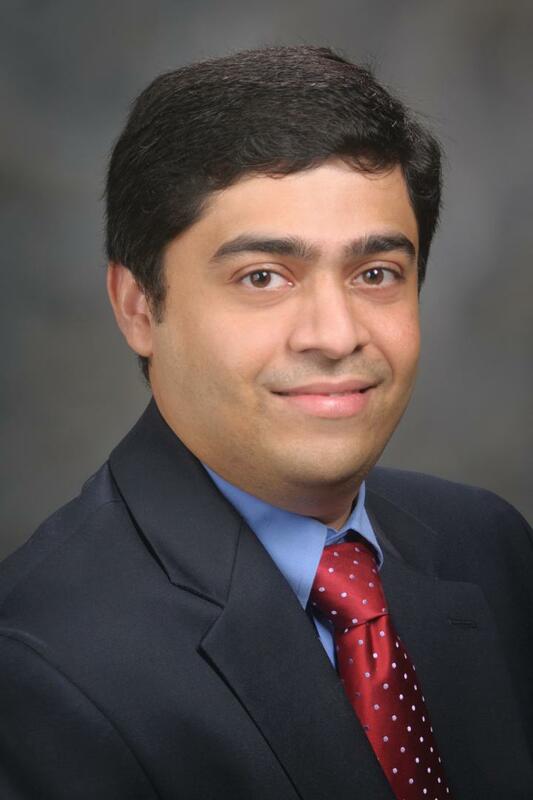 "There is a critical un-met need for effective drugs against cancers that have the RET alteration, as there are no highly potent inhibitors currently approved specifically for these RET-driven cancers," said Vivek Subbiah, M.D., Assistant professor of Investigational Cancer Therapeutics. "The current treatments for these cancers are limited to traditional chemotherapy and earlier generations of multiple kinase inhibitors. These options have had limited success with often considerable side effects that significantly impact the patient's quality of life." Subbiah's study is investigating BLU-667 as a novel precision-targeted drug that, through a proof-of-concept trial, has shown promising activity and disease control as a highly selective RET inhibitor. The drug targets RET-altered cancers with fewer side effects affecting non-cancerous organs. RET is linked to half of all medullary thyroid cancers, 20 percent of papillary thyroid cancers and 1 to 2 percent of non-small cell lung cancers. Subbiah's team followed 43 patients with advanced tumors not eligible for surgery. The investigation also studied 26 patients with medullary thyroid cancer, 15 with non-small cell lung cancer and two with other RET-driven cancers. "Tumor reductions and durable responses were observed in most patients, especially those patients whose cancer progressed with chemotherapy and multi-kinase inhibitors," said Subbiah. "Our study reported an overall response rate of 37 percent for RET-driven cancers, with responses of 45 percent for non-small cell lung cancer and 32 percent for medullary thyroid." BLU-667 was chosen for investigation because it is 100 times more selective for RET than other kinases tested, and has proved effective in stopping genetic mutations known as gatekeepers, which have been tied to resistance to multiple kinase therapy. "Overall, the data show the precision targeted therapy with next-generation kinase inhibitors can have a powerful impact for patients with RET-driven cancers," said Subbiah. "By offering a highly selective medicine tailored for this oncogenic driver, we hope this new therapy will enable patients to benefit from the recent advances in genomic profiling that have revolutionized treatment options for patients with kinase-driven diseases." Another MD Anderson researcher also involved is Mimi Hu, M.D., Endocrine Neoplasia and Hormonal Disorders. Other institutions involved included Massachusetts General Hospital, Boston; Blueprint Medicines Corp., Cambridge, Mass. ; Abramson Cancer Center, University of Pennsylvania, Philadelphia; Chao Family Comprehensive Cancer Center, University of California Irvine Medical Center; The Knight Cancer Institute, Oregon Health & Science University; and Vall d'Hebron Institute of Oncology, Barcelona. The study was funded by Blueprint Medicines Corp., which developed BLU-667.